A tourist, visiting a small town in Israel, came upon a statue dedicated to "The Unknown Soldier". At the base of the statue, a sign was displayed: "Here lies Seymour Ruthenberg". The tourist inquired of one of the locals how was it possible an unknown had a name. 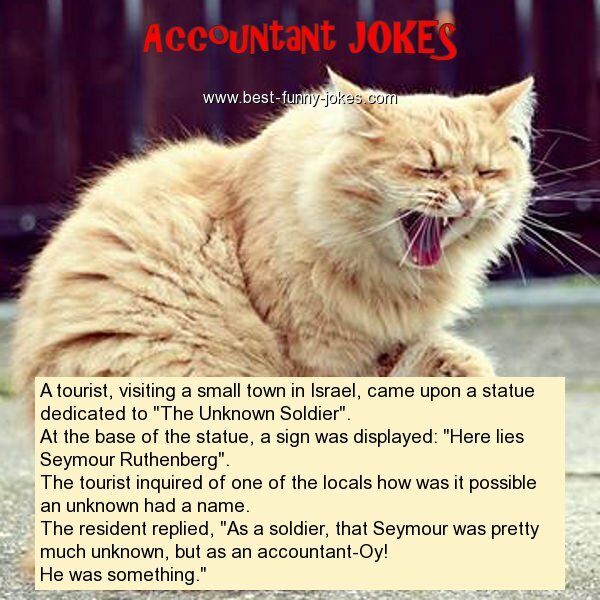 The resident replied, "As a soldier, that Seymour was pretty much unknown, but as an accountant-Oy!